Today, I officially say goodbye to my 20s and stroll into a new decade. Hello, 30s! First off, let me say that I by no means consider 30 'old.' It's just one of those milestone birthdays, and I feel it begs some thought and reflection. On one side of the coin, I'm a little sad to say goodbye to my 20s. Although not without their challenges and sadness, my 20s were amazing, and I'm choosing to focus on the positive. I met, fell in love with, and married a man who is the perfect ying to my craziness, I mean yang. But seriously, I couldn't have asked for a better partner in life. He supports everything I do, and just about everything good in my life is because of him. We've built a wonderful life together, and I so often pinch myself to make sure it's all real. Our wedding day. April 14, 2012. Photo by Alex & Natalie Nelson. And, I'm crying already. #blessed But, really, so blessed. Careerwise: I finished school, found one job that I loved, and then another job that I loved. I started my college career as a physical therapy student, and was pretty lost when I realized that wasn't for me. But, somehow, it all worked out, and my work journey has landed me in a role I truly enjoy. Not to mention, both organizations that I worked for made it possible for me to spend more time at home as a mom. Everyday I am grateful for my work-life balance. Because of it, I cherish every single day I am able to stay home with Callum, while still appreciate every day I have at work. Working part-time also gave me the opportunity to begin this little blog, which has led to many fun opportunities. The best part of blogging has been meeting so many wonderful people, now friends, along the way. 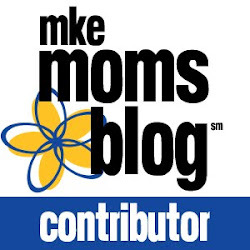 It also gave me the opportunity to become a part of MKE Moms Blog, which has been an unbelievable adventure. I can not say enough amazing things about all the wonderful and inspiring moms I have met because of it. Obviously, the most life-changing adventure of my 20s was becoming a mom. 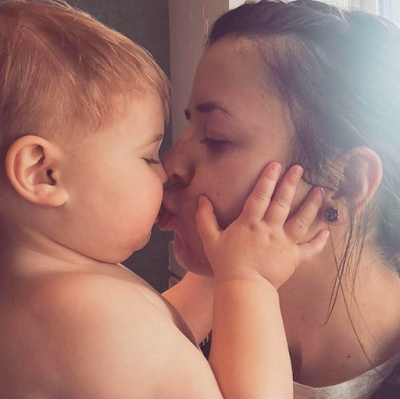 After having Callum, there is just no doubt in my mind that I was put on earth to be his momma. He challenges me, inspires me, and makes me laugh every single day. As much as I enjoy some time away from him every now and then, a little bit of me always aches to have my arms wrapped around him. And it would be wrong not to mention the amazing community of friends I have. I can't help but think of that nursery rhyme, "Make new friends, but keep the old..." I am so lucky to say that I have friends who have known me since way before my 20s, and they continue to mean the world to me. We are all spread across this country, but every time we are together, we pick up right where we left off. 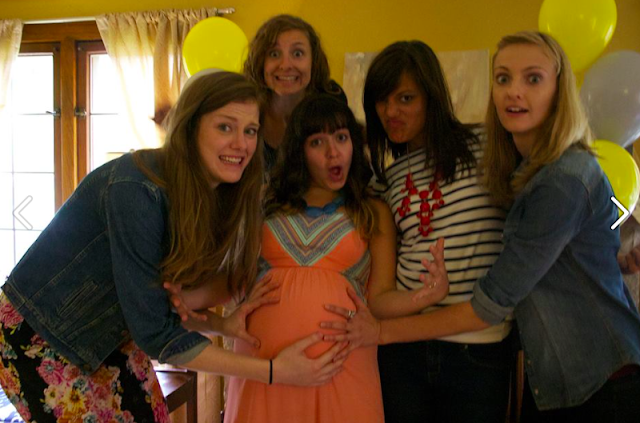 On the other hand, my life would be incomplete without all the amazing friends I have made in the past few years. I have so many people I can count on every day, and I am a better friend, wife, and mom because of them and their influence on my life. I guess what it all boils down to is this: my 20s were filled with so much love, laughter, and happiness. I somehow managed to carve my path and build a wonderful life with my family, amazing friends, and community. Don't get me wrong: It has not been without it's challenges. If a genie came through with three wishes, I would definitely take her up on it. But, all in all, life is oh so sweet. Today, on my birthday, I am filled with so much gratitude. I should be counting my blessings each and every day, but that rarely happens. It feels so good to take a moment of reflection and recognize how blessed I am. Not that I am any sort of expert, but if I had to give any advice for everyone else in your 20s: Your life is your life. Do what makes you happy, and f*$# the rest. Seriously. Life is too short for anything else. Goodbye to my 20s. I can not wait to see what the 30s have in store.